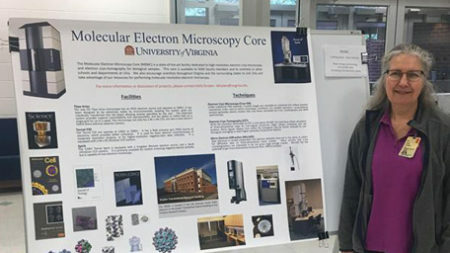 The Molecular Electron Microscopy Core (MEMC) is a state-of-the-art facility dedicated to high-resolution electron cryomicroscopy and electron cryotomography. It houses three electron microscopes, a 120kV Spirit, a 200kV F20, and a 300kV Titan Krios. 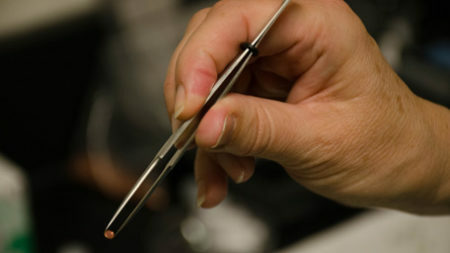 These microscopes are available to researchers either for direct use, or aided by MEMC personnel, to collect data aimed at high-resolution structural biology projects. 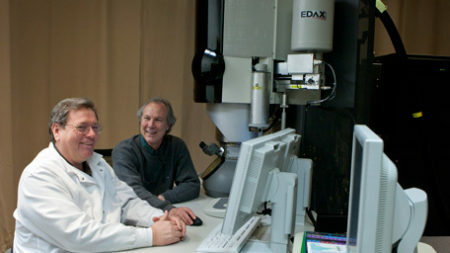 The core is committed to transmission electron microscopy of samples larger than 250 KDa, with the goal of image reconstruction at better than 1nm resolution. Our core provides top service and equipment for people within and outside of UVA. Our Rates for these services run hourly.